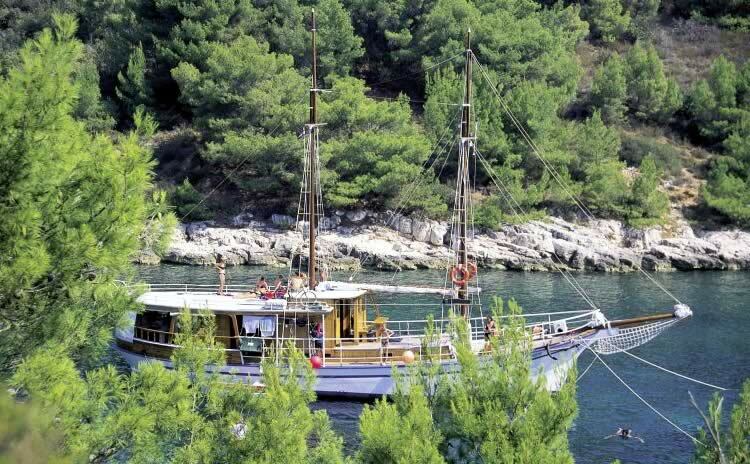 Many of our guests have been asking for a smaller boat, but with shower and toilet in the cabins. 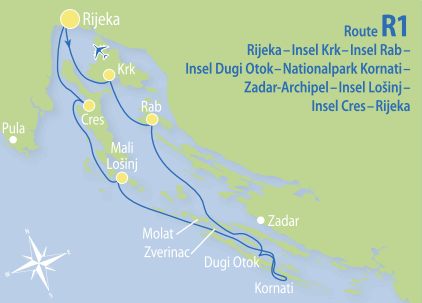 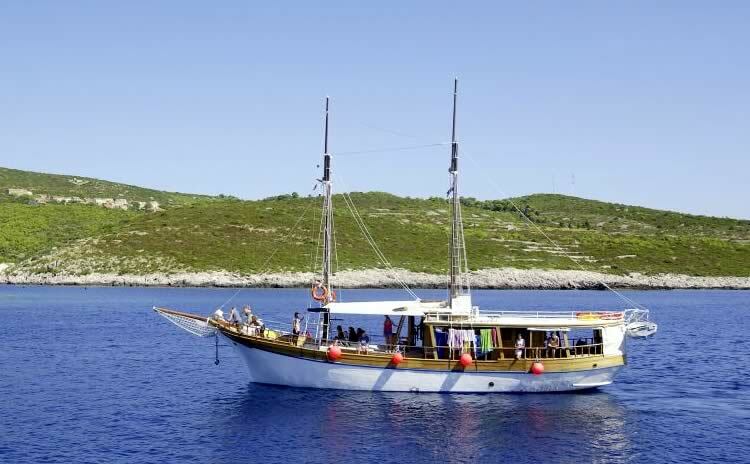 The Zelenbor fulfils this wish perfectly – 13 beds in six cabins, with shower and toilet, on a vessel which can easily anchor even in the smallest bays of the Croatian island world. 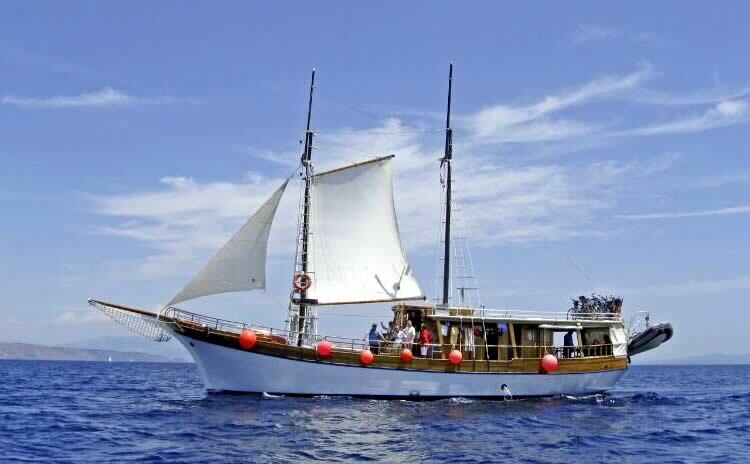 This is the ideal opportunity for larger families or groups of friends to spend their holidays together on the bluest of all oceans – guided by the experienced hands of Captain Toni Krstacic. 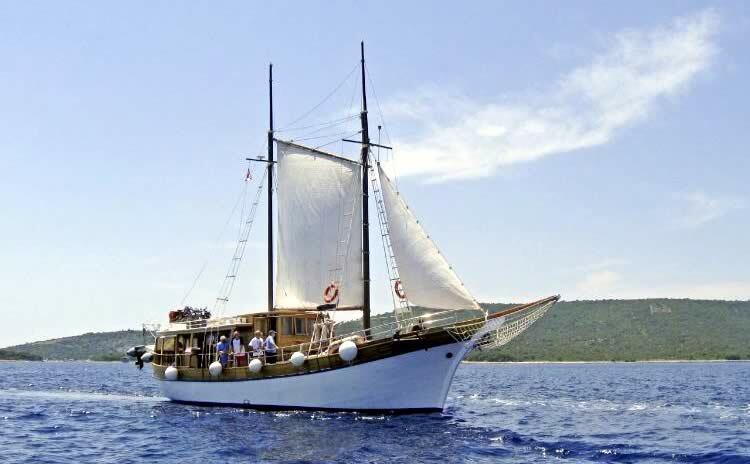 General data: Length 23 m, built in1938, renovated in 2003. 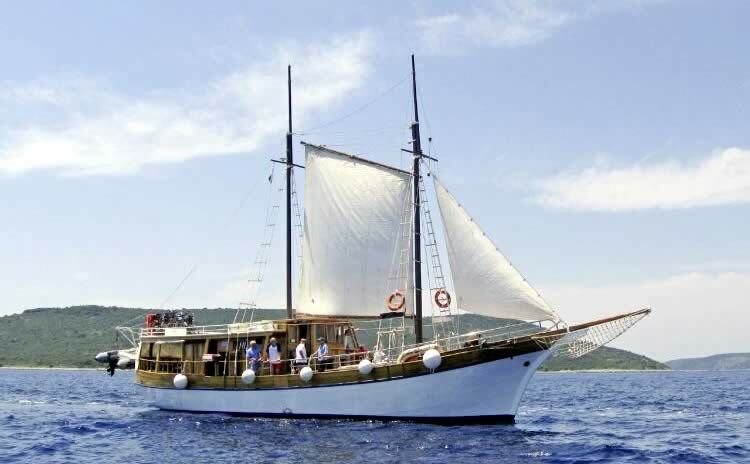 13 beds in 6 cabins with shower/toilet. 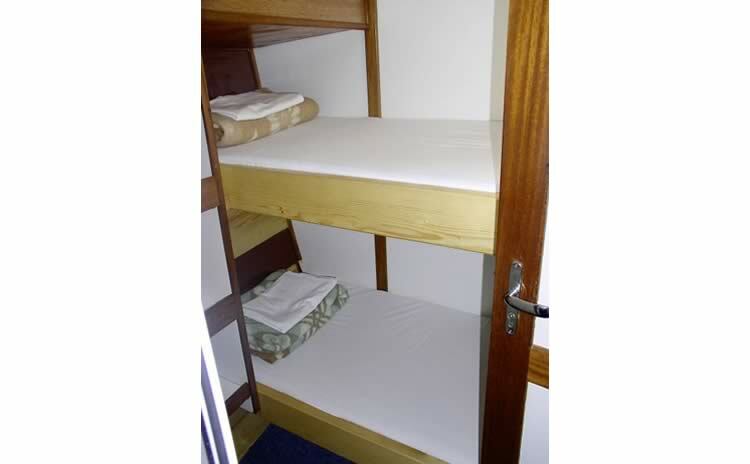 Lower deck: 5 twin cabins with bunk beds, 1 triple cabin with bunk beds and separate 3rd bed. 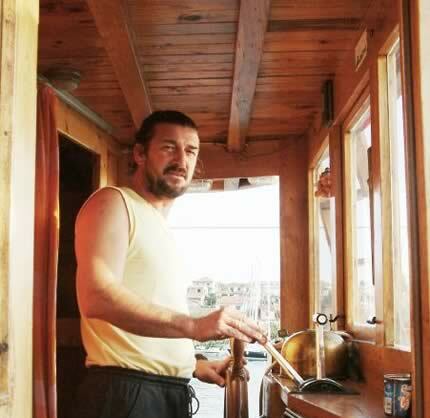 Air conditioning in the cabin alleyway. 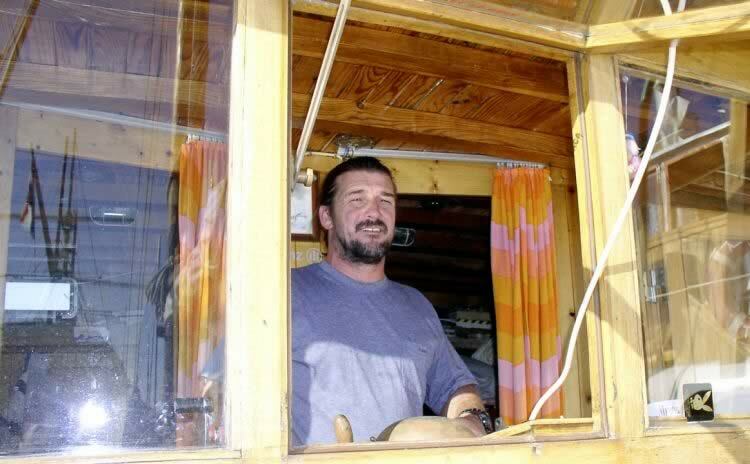 Other: 1 shower/toilet. 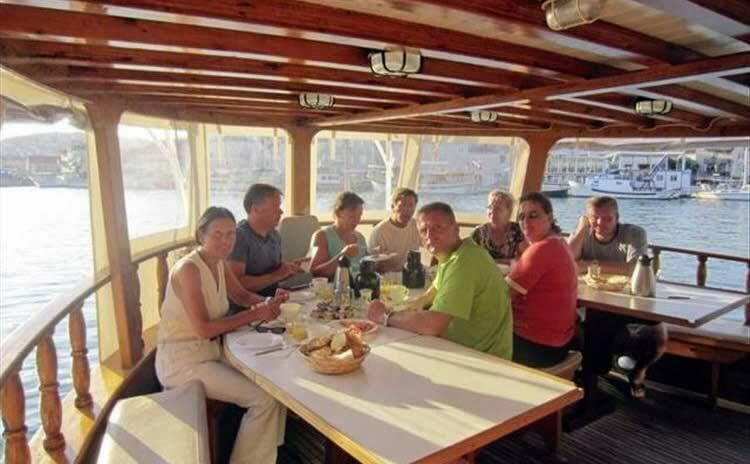 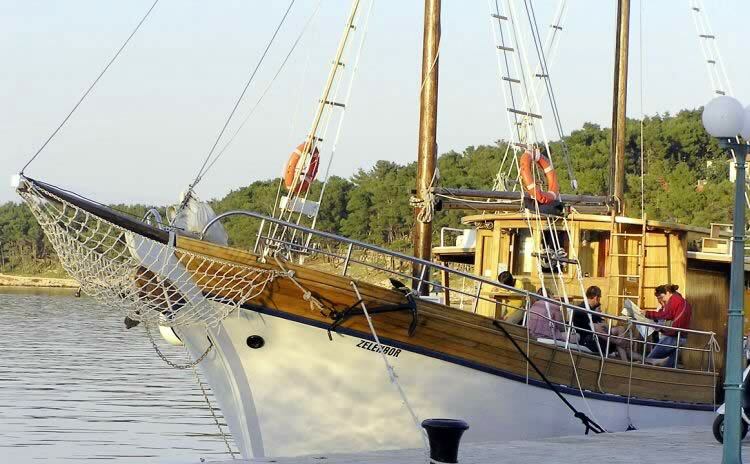 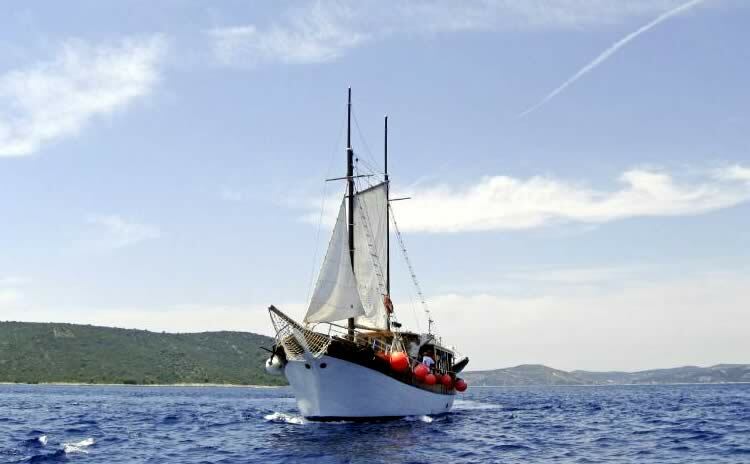 Sun deck (70 m²) with mattresses, open saloon at the stern for 18 people, which can be closed with a tarpaulin. 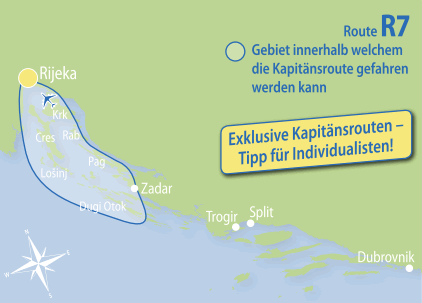 Captain Toni Krstacic Motorsegler MS Zelenbor.